When you’re a college student, traveling can definitely be the last thing on your mind. It can be hard to find things to do when you’re broke after buying countless pizzas from late night study sessions, or when you’re stuck at home until you go back to school. However, this doesn’t mean that you need to spend your days holed up in your parent’s house or dorm on your phone, especially in the Pennsylvania Wilds. One of the most daunting things about traveling is money. Luckily, because there are so many opportunities for travel in the Pennsylvania Wilds, you won’t have to worry about much more than the gas money it takes to get to your destination. There’s no shortage of adventures; from day trips to camping adventures, you’ll surely make some unique and lasting memories. Keep reading to find out about some of the most interesting places to visit when you’re road-tripping with your friends. 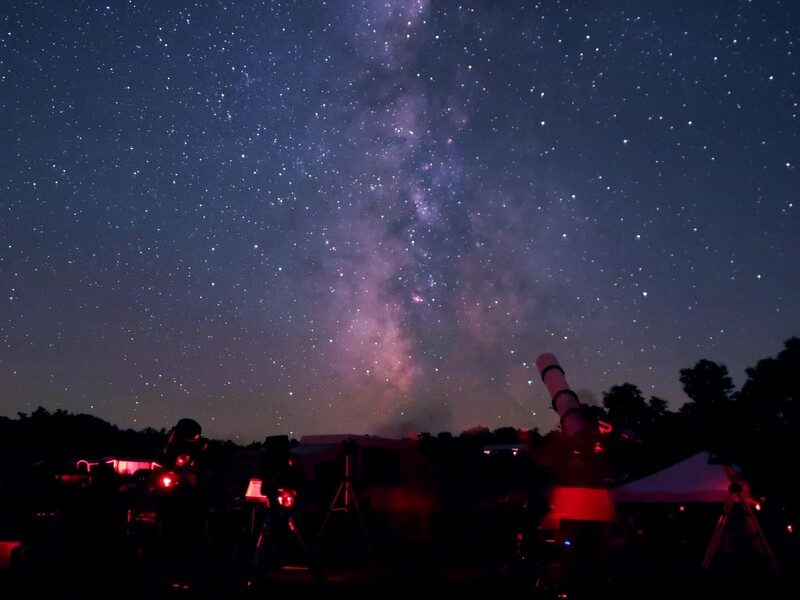 This state park located in Potter County is the perfect place to go to stargazing. In fact, it’s a part of the Dark Skies Landscape, which has internationally-certified night skies. We aren’t used to seeing the spectacle of light offered at Cherry Springs; because of light pollution, it’s normally rare to see such a truly clear sky. However, Cherry Springs is commonly ranked in the top seven best places in the world to see the brilliant night sky. Don’t forget to bring your binoculars! Cook Forest & the Ancients is a great place to go if you want to go camping, fishing, picnicking, swimming, canoeing, hiking, and the list goes on and on! It’s located along the Clarion river in Clarion, Forest, and Jefferson Counties. There’s a reason this 11,536-acre park is so popular; in addition to its old growth forest cathedral, the park includes so many of the classic camping activities that tourists and locals alike seek out for a little escape into nature. 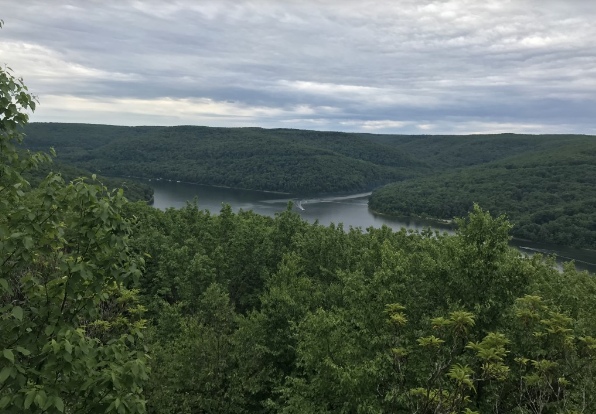 The Allegheny Reservoir, also known as Kinzua Lake, is a man-made lake built for flood control in 1960. 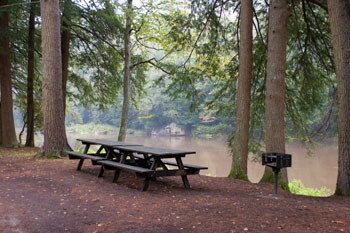 Located in the Allegheny National Forest & Surrounds Landscape, visitors can enjoy recreational activities including camping, hiking, fishing, picnicking, boating, and swimming. A favorite of teens and college students in the area is to bring kayaks out to the reservoir or to go swimming in one of the two swimming areas. 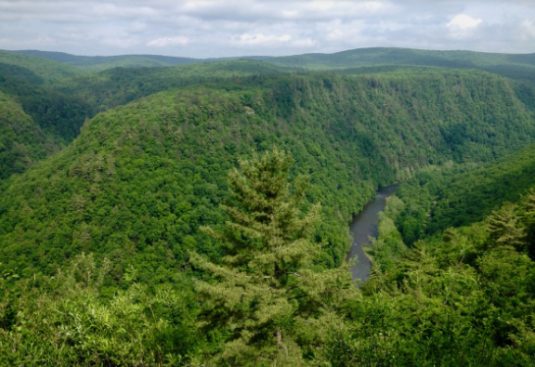 The PA Grand Canyon, a gorge stretching over 45 miles, is almost 1,500 feet from top to bottom. It is named for its similarities to the Grand Canyon National Park. Tourists come to the Pine Creek Valley & PA Grand Canyon Landscape to enjoy not only the views, but also the popular Pine Creek Rail Trail. The 63-mile trail laid on an old railroad bed is often regarded as one of the best destinations to go biking. Other activities include hiking, camping, and enjoying the breathtaking views. The Elk Country Visitor Center is the best place to see elk in their natural setting. The Visitor’s Center was created to provide visitors with not only an excellent year-round facility to promote the park, but also educational exhibits, a 4D show, a gift shop, and even a wagon ride. 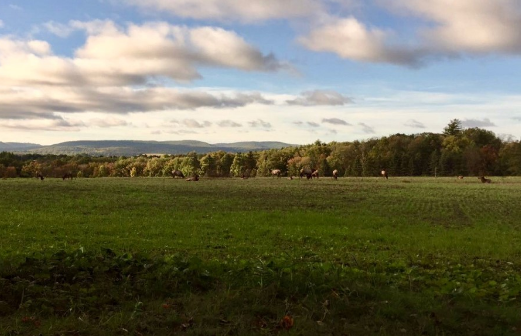 To get to the Elk Country Landscape, travelers can enjoy a drive on the Elk Scenic Drive, which follows Route 153 from I-80 to Route 555, and continues on to Route 120 and Route 144 (or vice versa!). Don’t be afraid to venture out of your comfort zone; the Pennsylvania Wilds region has so much to offer. So, get out there with your friends and take advantage of the incredible opportunities that nature provides. Born and raised in the Pennsylvania Wilds, Olivia Blackmore has grown to appreciate the beauty of nature and community throughout her childhood. From canoeing in the Allegheny Reservoir, to enjoying the annual Art in the Wilds Fine Arts Show, to exploring the serene forests, she has always known how lucky she is to know such a wonderful area. When she’s not spending her time in her hometown of Kane, she can be found studying music education at The Pennsylvania State University.